The Friends of Development and Investment Society / Jerash was founded in February 2007 by the authorization of the Ministry of the Interior. Its members are a number of experienced and active people in the public work. The society took into account that among its members a multitude of degrees in various science disciplines in order to enable the Society to participate in the planning of strategies for overall development in the governorate of Jerash in the Hashemite Kingdom of Jordan. Since the development of health is the pillar of the overall development, the society has included a number of specialists in many areas of health in its membership (doctors, public health professionals),and its members have many previous experiences in the areas of health education on a wide range of health issues such as meningitis, hepatitis, AIDS and others ...). The society and its members have also experience in organizing conferences workshops, coordination and networking with various institutions of civil society. Because the society realizes the integrated relationship between health development and the overall sustainable development, health issues are a priority in our future strategies, in order to make it a public concern rather than a burden on the health workers only. 1. Work with the popular and official bodies in all possible and legitimate ways in order to create the environment to be attractive for investment, and supportive of the national economy in line with the royal visions, and to highlight the modern image of Jordan as a model of democracy and state of institutions. 2. Cooperation with all governmental and quasi-governmental and civil society institutions concerned with the overall sustainable development and to communicate with the Arab and international bodies and forums on the economic prospects for the detection of investment and development. 3. Work to involve local communities in development projects in all its aspects and give a chance to look at and participate in the formulation of development policies and investment to ensure that opportunities for increasing income, and gaining the support to them through a package of economic and social benefits. 4. To provide opportunities for women's gender through awareness, training and rehabilitation programs and to give them the proper role they deserve as they represent 50% of the community and including them in the core targeted groups. 5. Active participation in health development and involvement to make the task of the health concern a public one, and not a burden on the health workers only. 6. Balance between development and investment projects on the one hand and the preservation of cultural and popular heritage of the communities on the other. 7. Promote environment friendly tourism projects as the next era tourism and an important source of income for local communities, while maintaining the biodiversity and the preservation of nature and the environment. 8. Work to attract the awareness and training programs for the rehabilitation of local communities in all areas to deal positively with the development and investment projects and spread culture of development among the members of the community, and work on integration and communication between local communities and the investment projects, on the other. 9. Spread and clarify the concepts of development and investment, to help the community adopt these values, and concepts, and involve in the formulation of policies in the context of sustainable development for local communities. 10. Spread the values of work and production as an essential component of independence of nations and an effective motive of development to ensure better opportunities for future generations. 11. Development of national legislations to attract investments and monitor lack of infrastructure, which hinders investment and work with the concerned institutes to be compensated. 12. Making use of the opinions of specialists from public and private sectors in the study and assessment, of the environmental impact of investment projects to be established. 13. Deepening the concept of comprehensive development and raise the brainstorming and dialogue on the mutual influences between the political, economic, cultural and social life of humanity, which deepens the concept of citizenship to individuals and shapes serious and comprehensive vision of the development process. 14. Work to promote the values of freedom and acceptance of others, positive dialogue, far from violence and closure of its optimum atmosphere for creativity and the release of creative energies that make and expedite development and obtain attractive investment climate to ensure the immunization of society against the dangers of terrorism and intellectual terrorism. 15. Educate young people about the importance of the role of the civil society institutions in bringing about development and to help the establishment of such institutions to play a leading role in educating and training communities. 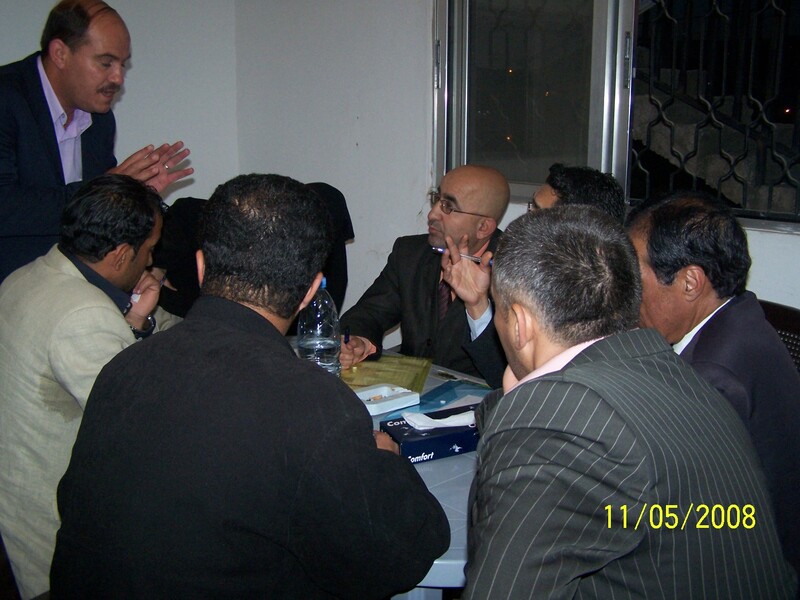 1 - Training of community and government leaders in reducing stigma and discrimination against people infected with HIV (AIDS) in the period between the 5-10-2008 to 5-14-2008 / twenty training hours. 2 - A public media campaign in the reduction of stigma and discrimination against people infected with HIV (AIDS). 3 - Educational field visits to groups with higher risk of HIV infection (homosexual MSM )in the period between 25/12/2008 and 19/1/2009 most involving 80 interviews and questionnaires followed by analysis. 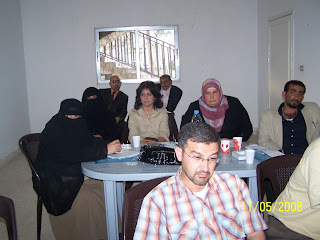 4 - A public campaign to reduce stigma and discrimination against AIDS patients is targeted the Women's sector, the workshop included training on ways of AIDS transmission and ways of reducing the spread of the disease on 21 / March, 2008. 5 - A public campaign to reduce stigma and discrimination against AIDS patients targeted the clergy, and included a training workshop on ways of transmission of AIDS and ways of reducing the spread of the disease on 23 / March, 2008. 6 – A public media campaign to reduce stigma and discrimination against AIDS patients targeted the youth sector and included a training workshop on ways of transmission of AIDS and ways of reducing the spread of the disease on 28 / March, 2008. 7- Educational field visits to groups with higher risk of HIV infection (homosexual MSM and FSWs )in the period between 1/5/2011 and 15/6/2011 most involving 160 interviews.